A Minnesota police officer testified that he exchanged racially charged texts with Allen “Lance” Scarsella, who is standing trial for felony assault charges in the shooting of five Black Lives Matter protesters in 2015. Scarsella, 23, is facing assault charges for shooting five Black Lives Matter protesters on November 23, 2015. The peaceful protests were in demonstrating in response to the death of Jamar Clark, an unarmed black man killed by police. 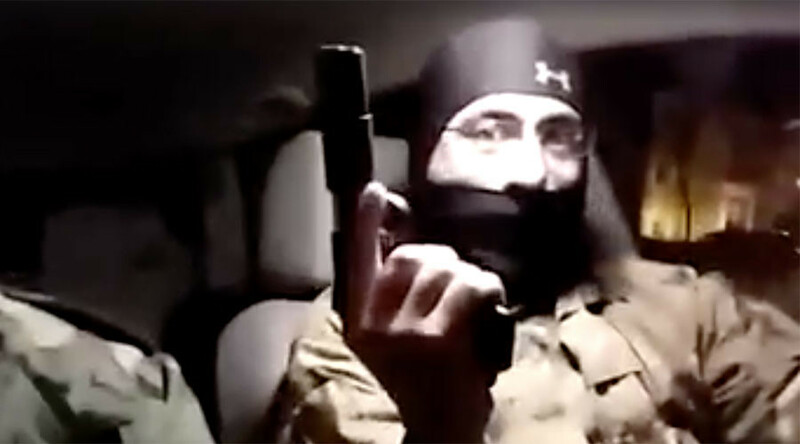 Days before the shooting, Black Lives Matter Minneapolis posted a livestream video showing two men dressed in camouflage and masks driving to the ongoing protests, making racial slurs and referring to protesters as “dindu,” an abbreviation of “dindunuffin,” a racist Internet meme insulting African Americans. The two in the video were identified as Scarsella and Julio Sanchez, who did not attend the protests the night of the shooting. According to the search warrant for Scarsella, Mankato police officer Brett Levin contacted the Minneapolis Police Department hours before any news on the shooting had been reported. Levin told police that Scarsella had called him after the shooting, and admitted that he was the shooter twice in a five-minute phone call. Levin justified the text messages, claiming that, “How we were talking was more along the lines of locker room talk,” according to the Star Tribune. Levin was not asked to describe the content of the racists messages with #Scarsella. He described them as "locker room talk." Levin has not given specific descriptions of the content of those messages, nor has he given any comment on what those messages might entail. @BurnsvillePD gosh, I don't know about everyone else but I'd sure like to see what racist officer Levin said to racist shooter Scarsella. Scarsella is currently arguing that he shot the men in self-defense after a group of protesters rushed him, to which Levin testified in agreement. On Wednesday, testimony and videos that Scarsella livestreamed were shown to a jury, none of whom are African-American. “How can it be self-defense when those guys had guns, and my grandson and his friends, they didn’t have guns they were just walking - going about their business,” James Clark, the father of Jamar Clark and grandfather of one of the victims of the shootings, told KARE.